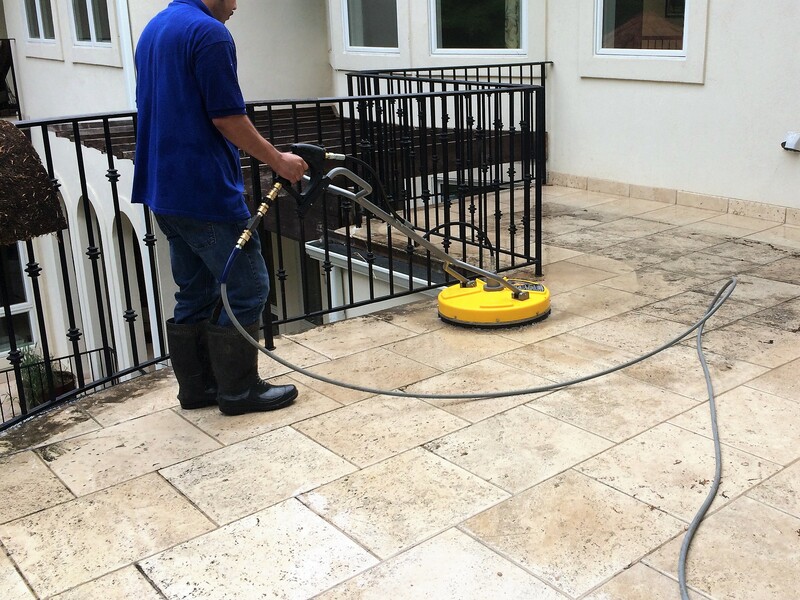 We have industrial grade surface cleaners which is best for cleaning large flat surfaces while removing dirt up to 15 times faster than the standard wands. 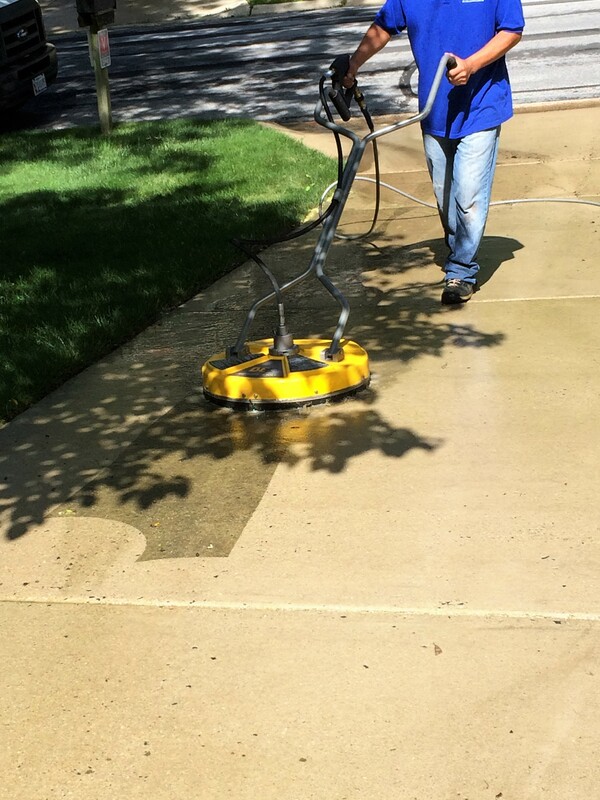 Our flat surface cleaners are equipped with strong bristled brushes for long life and easy glide control. 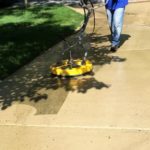 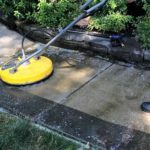 This surface cleaners are used on driveways, patios, sidewalks, pool decks, parking lots and any other horizontal flat surface. 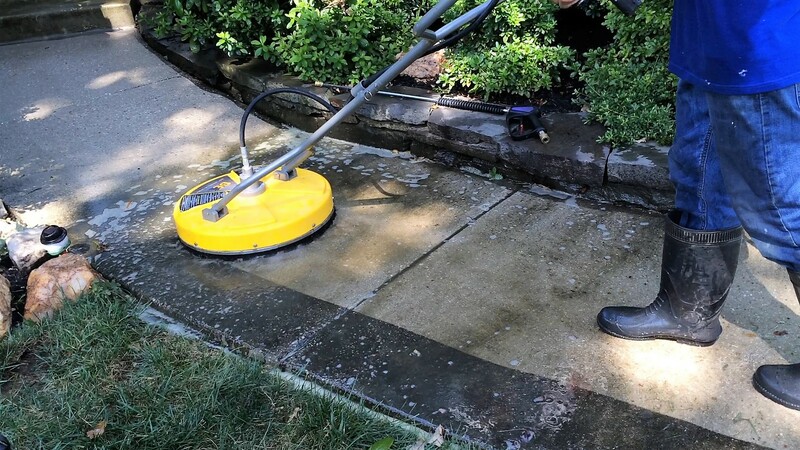 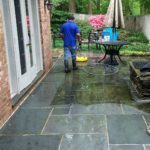 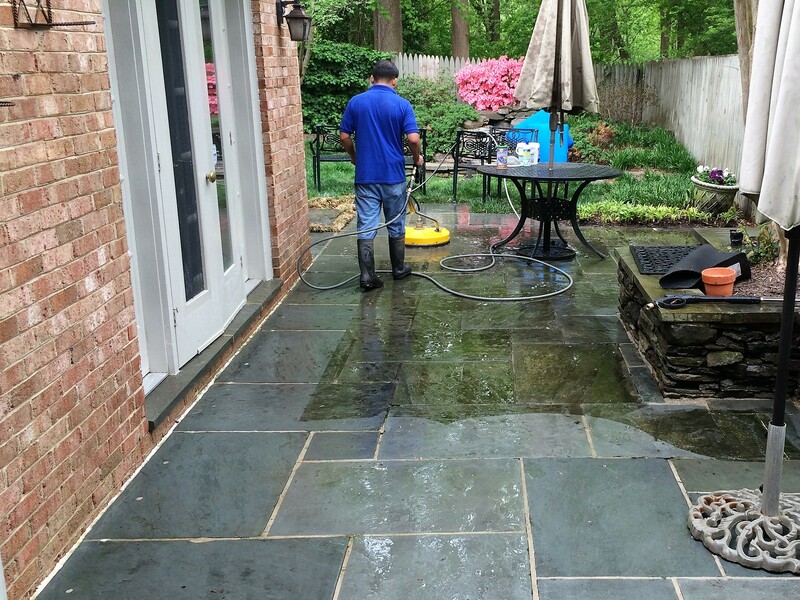 Using it we prevent etching the concrete during power washing and we always use the lowest pressure available to safely get the job done. 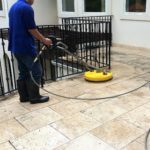 We this equipment and well trained workers we get the best deep clean on every inch of any flat surface so please do not hesitate to call us requesting an estimate or to schedule a service appointment.